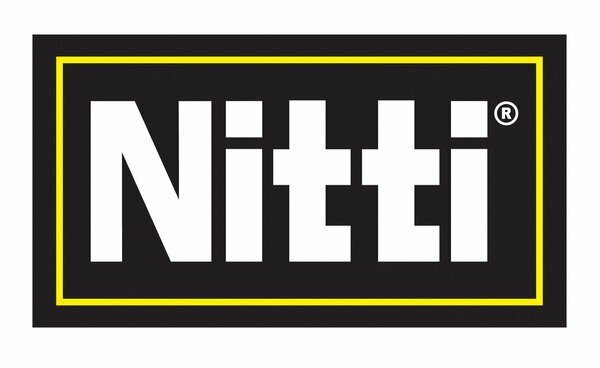 Nitti Safety Footwear has celebrated over 22 years being the leading safety footwear brand. This homegrown brand was purposed to provide all workers with reliable and comfortable safety shoes. Their success was attributed to the quality of shoes that has been delivered to the market over the years. With dedicated workers, innovative technology and superior materials, you can be sure that Nitti footwear not only meets international safety standards, but exceeds them. Nitti carefully sources and selects components and materials from all over the world to ensure that their shoes are of the highest quality. While most other brands have outsourced their manufacturing, Nitti has its own ISO 9001 certified factory, which makes sure that all footwear that reaches its customers are up to standards. With safety certifications from countries like Singapore, China, Australia and more, Nitti footwear is one of the most certified safety shoe brands globally. Nitti’s shoes will protect the user’s feet from any workplace hazard, regardless of the environment the user is in. Nitti believes that while their footwear should be safe, sturdy and provide maximum protection, the element of comfort should not be compromised. Their shoes have a wider toe cap than regular safety shoes in the market. This eases pressure and lessens the tension on the toes. Whereas for regular shoes, the narrow tip limits space in the front part of the shoes, applying pressure of the toes as it bends to fit the shape of the cap. This would restrict blood circulation in the feet. Besides the toe cap, the body of Nitti’s safety shoes consists of quality leather and Cambrelle® comfort lining which makes the shoes breathable. This helps with the release of sweat and odor into the external environment. Committed to providing only the best quality, every pair of Nitti safety shoes has gone though a set of stringent quality tests to ensure consistent quality throughout. Hence, you can be sure that each pair of safety shoes by Nitti are durable and reliable. Never expose your boots in direct sunlight or under extreme temperatures. Also, make the habit of air-drying your boots after every use before storing them away. Only store them in a cool, dry, and well-ventilated place. Always clean and polish your boots regularly with wax. After coming in contact with cement or concrete, always rinse your boots. Cement will damage the leather upper by drying it out and casing cracks if left as it as. When it comes to cleaning your footwear, do not wash them using strong detergents and caustic cleaning agents. 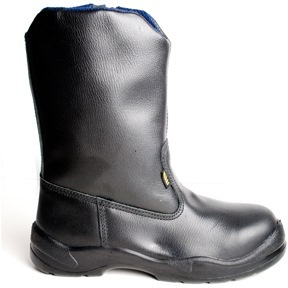 Air-dry wet boots at room temperature and leave the insoles exposed by removing the laces and cushion footbed. The shoes have antistatic properties but these can significantly be altered through contamination or flexing due to wear and use in wet conditions. After knowing more about Nitti, we will now showcase the wide selection of safety shoes that Nitti houses. Ranging from low-cut to high-cut, there is one for every style and every need. There is a reason why some users prefer to wear high cute safety shoes at work. These shoes have an added structural reinforcement that makes them very durable. The height of the shoes reaches 10 inches above your soles. This additional height gives you added coverage and protects your ankles as well. Besides allowing you to easily slip your safety shoes on and off your feet, the zipper keeps dirt and dust from going into your shoes. If you work in an environment with many sharp objects around, Nitti has got you covered – and protected. Their High Cut Zip Up Safety Shoes have a steel midsole as well as a wide steel toe cap to ensure that your feet is protected from compression or possible falling objects. However, this does not mean that the shoes are uncomfortable on the feet. They have removable, pre-moulded insoles to give you the added comfort you need. 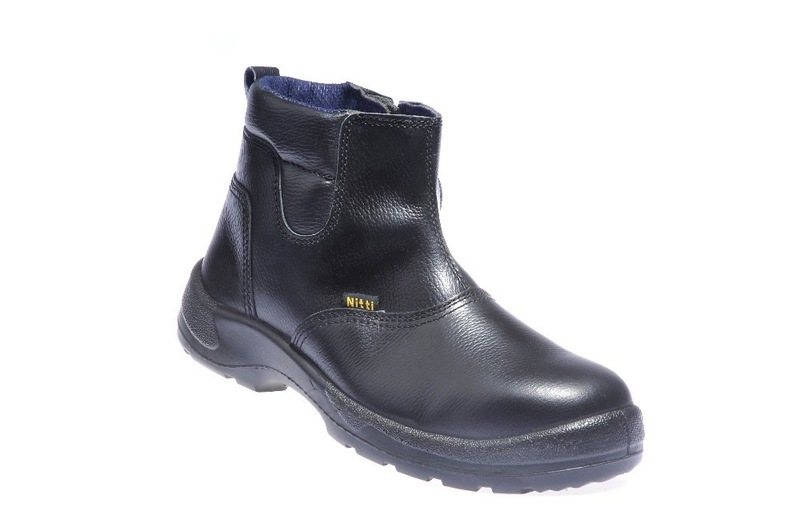 Last but not least, he leather uppers of these shoes are also waterproof which allows you to work in wet environments. Although the mid-cut safety shoes offers less coverage than the high-cut design, it still offers the same level of protection. Being 7 inches high, the Mid Cut Zip Up Safety Shoes is able to protect your ankle as well. The user-friendly zipper not only makes it easier to wear and remove your shoes, it gives you a stable and secure fit. Made out of waterproof material, these shoes are perfect for both indoor and outdoor use. You can also use them in both dry and wet work environments. Therefore, they are suitable for us in warehouses, for deliveries and even in industrial applications. Last but not least, the most common safety shoe design in the market is the low-cut safety shoes. 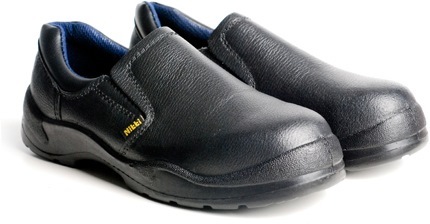 Some have laces, a portion has velcro straps while the others have a slip-on design, like the Nitti Safety Shoe Low Cut Slip On. Unlike the above models, this particular model does not come with a zipper. Thus, it is relatively easier to wear and remove your shoes. The wide steel toe cap and full-length steel midsole protects your feet from sharp or heavy objects and also offers you the comfort you need. This is especially so when your job requires you to be on your feet the entire day. The simple and sleek style of the low-cut slip-on safety cut is recommended for those in the service and hospitality industry. Due to its universal design, this pair of safety shoes is also ideal for ladies. In conjunction with the upcoming World Day for Safety and Health at Work on April 28, the team here at Eezee aims to promote awareness and accelerate action towards preventing workplace-related accidents and deaths. Play your part in making your workplace a safer and better place. 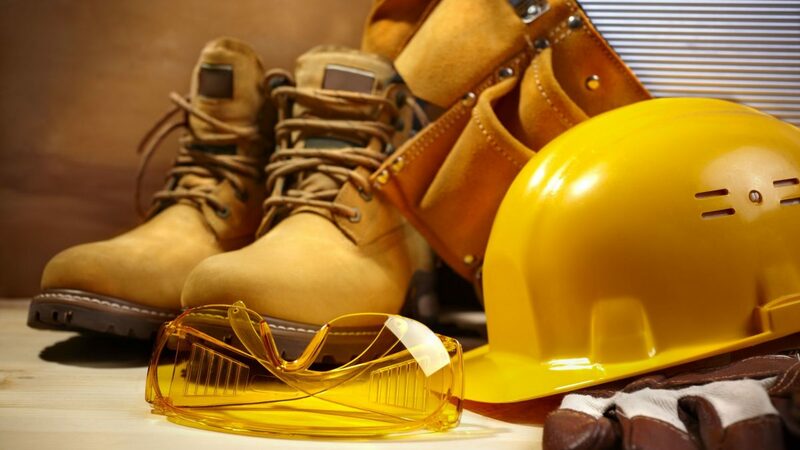 Ensure that workers are always equipped with safety gear such as safety vests, protective head wear and safety shoes. 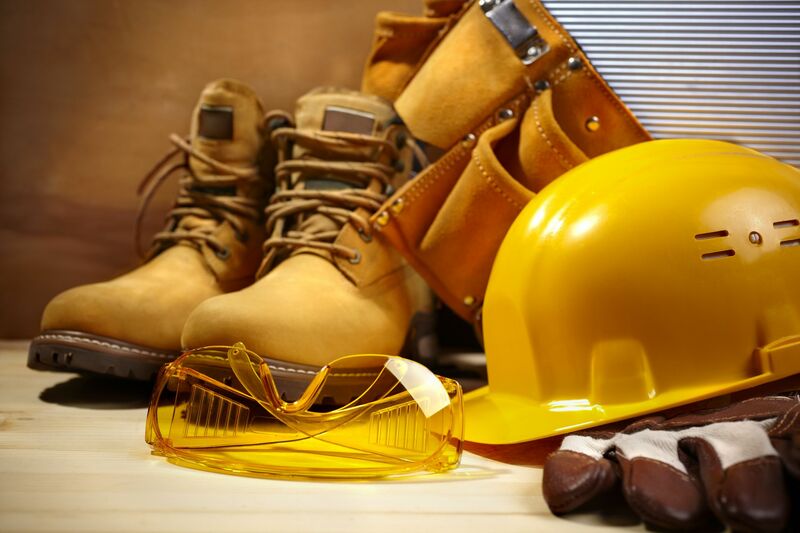 To find out more about safety shoes, check out our safety shoes guide. View Eezee’s extensive range of safety shoes here.